Boy, I sure do love comics! Here’s some of the comics I’ve made. 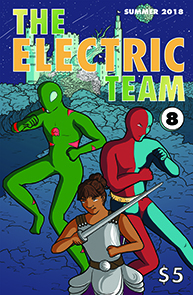 The Electric Team – In a shattered world where magic and super-science have run amok, six heroes have banded together to restore civilization. They are . . . the Electric Team! My daughter Abi created most of these characters and concepts. I write the scripts, Abi provides input, and Samantha Albert draws it. We serialize the story here, and periodically release print issues. You can order them here. Issue #6 is on sale now! Visit our Patreon page to support The Electric Team, and receive perks, treats, gifts, and prizes! 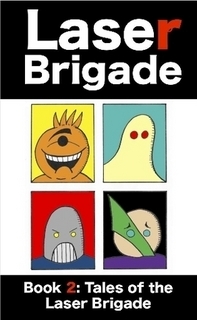 Laser Brigade – My space opera web comic, that I write and draw. For Book 1, I challenged myself to write and draw each chapter in one or two sittings, directly in ink, without using a pencil or a ruler. For Book 2, “Tales of the Laser Brigade,” I invited some of my friends to contribute, and received excellent stories by Matt Kish, Josh Burnett, and Doug Meyer. I also drew a couple of stories. You can order Book 1 here, and Book 2 here. You can read the entirety of Book 3 here. 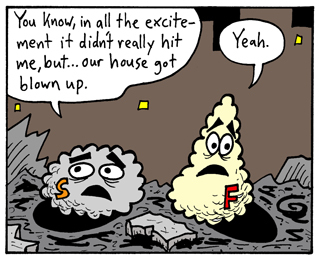 Fuzzball & Scuzzball – You could say that this is my web comic magnum opus. I wrote and drew the adventures of Fuzzball, Scuzzball, and their friends for years, until I brought the story to a conclusion. It’s all online, so hop on over to the website and check it out. 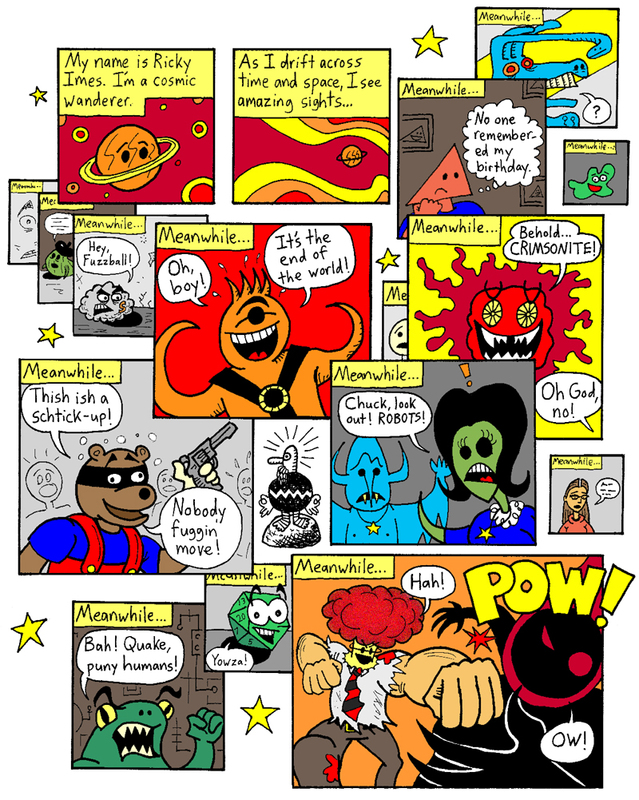 Other comics I’ve worked on over the years include Don’t Quit Yer Day Job, Circadian Rhythms, The Zimberwack Winter Extravamaganza, Esoterica, SPUDD 64, The Swimmin’ Mole, Heliopolis, Monsters Against Robots, Rad Dude, Happy D20 Adventures, Weirdo-Freak, and Tarnished.